The Honorable Judge Cellular is presiding over the case of The State vs.Egg Cell Number 6624223. 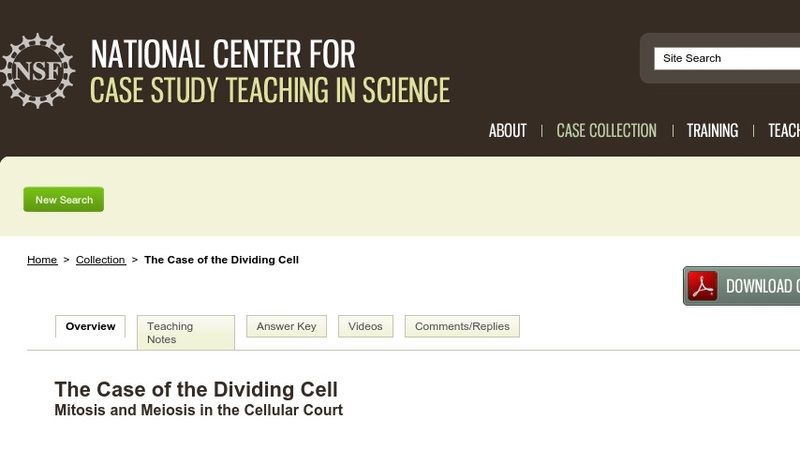 As the prosecuting attorney calls each witness to the stand and the courtroom drama unfolds, students learn about the stages of mitosis and meiosis and their particular characteristics, and how cell division in prokaryotes differs from that in eukaryotes. The case is suited to an introductory biology course and would also work well in high school biology classes.